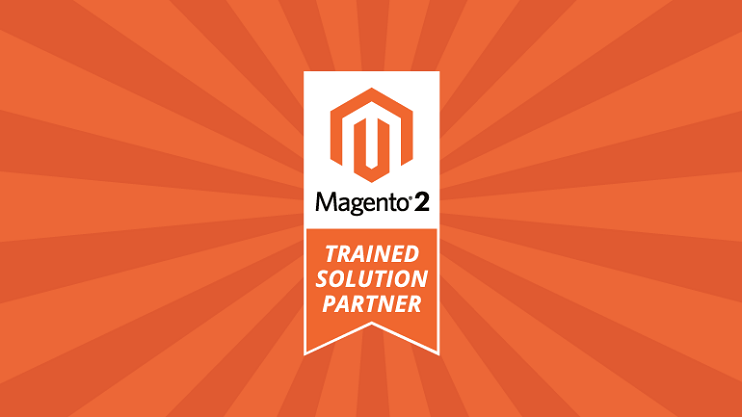 We want to share with you the great news: we successfully passed the certification process and now we are official Magento 2 trained solution partners! To achieve the Magento 2 trained solution partner status, a team of Magento frontend and Magento backend developers should go through a serious 100 hours training courses. Verification of the results by top experts from Magento Inc.
Magento 2 trained solution partner status - is one of the important criteria you should pay your attention. It will help to choose the right development partner for your Magento project. We are proud to be among the first companies, which pass the Magento 2 certification process. If you want to start the Magento 2 project, or want to transfer your existing Magento store to Magento 2.0, feel free to contact us.